Potentially the first in a line of high performing convenience based products hitting shelves this year. 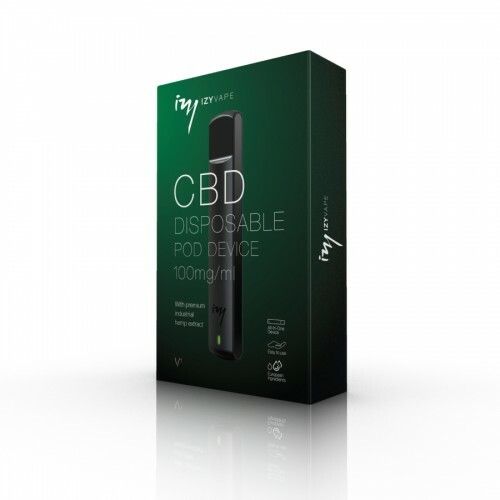 The Izy Vape disposable pod device is manufactured with premium grade industrial hemp extract and uses ingredients sourced directly in Europe. A very simple to use all-in-one system ( AIO ) that produces up to and beyond 350 puffs per device. The flavour has mild and earthy notes that don’t overpower the taste buds but provide a sweet and pleasant vape experience. With elegant and sleek packaging you can be sure this will appeal to a mature and health conscious audience. CBD has become increasingly popular in recent times for many well documented reasons. 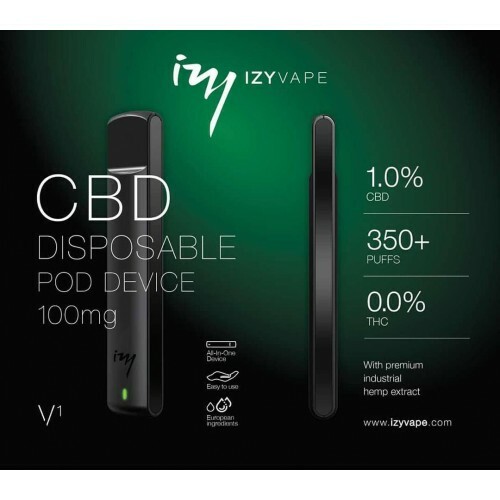 The Izy Vape disposable CBD pod device uses a ceramic coil, ensuring that the end user is ingesting CBD in the most efficient manner while increasing CBD bio-availability. You can see the reasons why this is important from our Blog article HERE. INNOKIN COOL FIRE IV ISUB VE KITThis is the new, TPD compliant version of Innokin's outstanding Co..
REVENGER MINI 85W VAPE KITThe Vaporesso Revenger Mini Kit continues the legacy of the series, cont..